Saturday, May 4 is Herb Day, a day that is celebrated all around the world. Falling on the first Saturday of May every year, this is a great day to celebrate your love of herbs with friends and family. 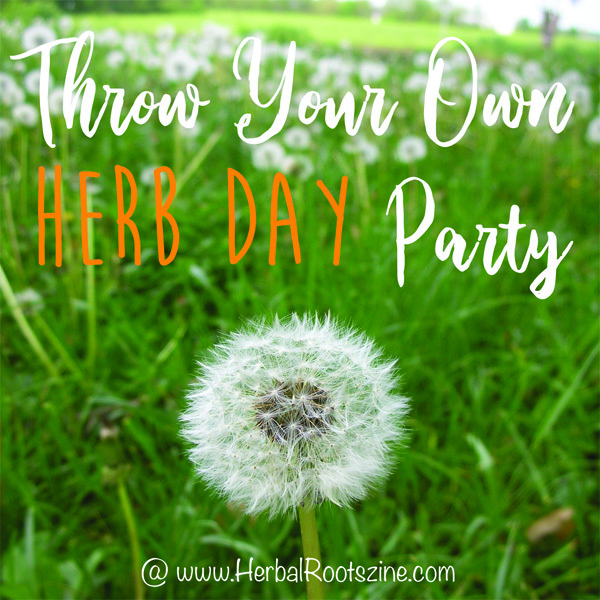 So why not throw a Herb Day Party? Make some herbal decorated invitations by drawing herbs on a card or cutting out pictures of herbs to glue on the invitation front. Send them to all your friends and family that you want to invite. 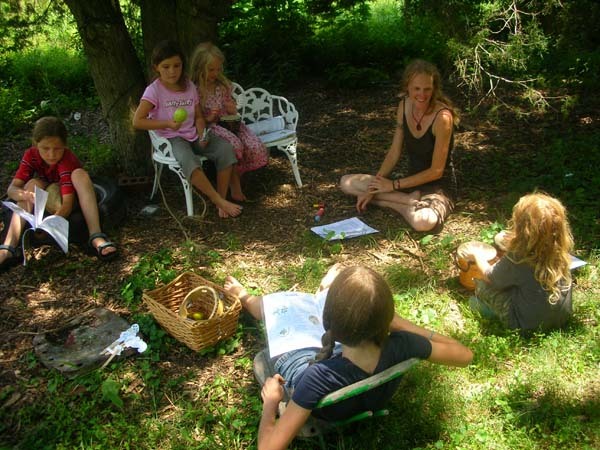 Plan some activities to educate your attendees about medicinal herbs. 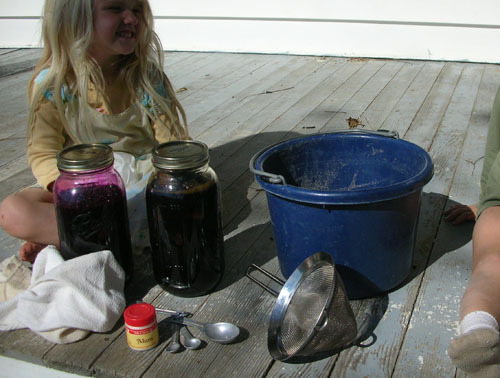 You might offer to do a springtime scavenger hunt, do a plant walk and talk about the plants that grow in your back yard or neighborhood or a specific activity for one herb such as making Dandelion or Violet Jelly or use herbs to dye some play silks. 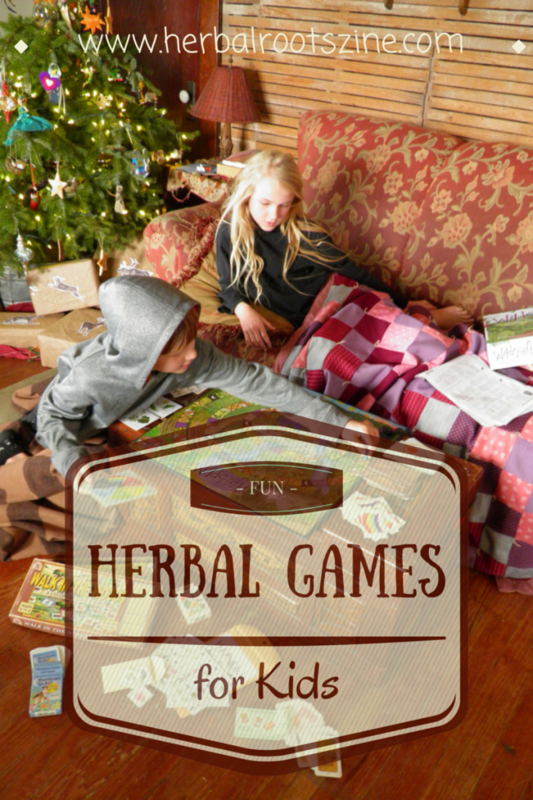 Take your Herb Day Party to the next level with some herbal inspired games. For a more relaxing game, try our free Herbal Bingo printable. Or, if you need to work up an appetite for snacks, there are several herbally adapted games you can try as well. After all those activities, your guests are sure to have worked up an appetite so serve them some delicious herbal inspired foods. 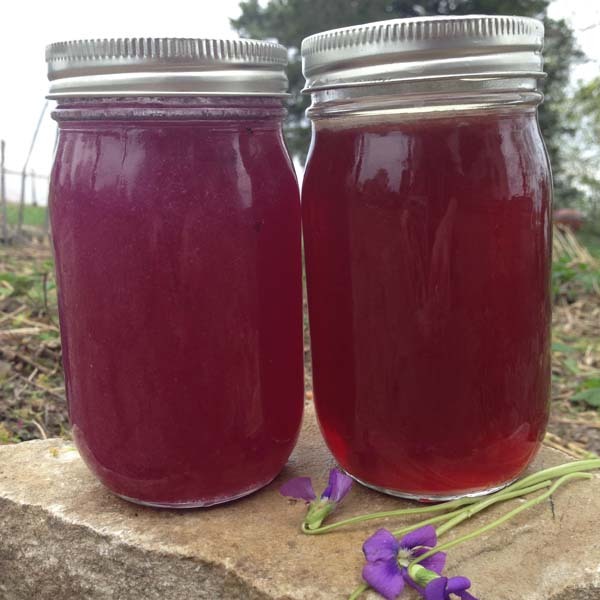 Lavender lemonade, ice cream with homemade herbal syrups (Hawthorn, Peppermint, Basil and Elderberry are some delicious choices), Dandelion fritters, Chipotle flourless cake, Bee Balm cucumber salad, heart treats or homemade marshmallows are some great choices. Freeze some spring flowers in ice cubes to serve in your drinks! Heat a skillet on medium heat until hot then grease with butter or bacon fat. Spoon 1/4 cup measure of the batter into the pan and fry on both sides until cooked through, about 3 – 4 minutes on each side. Repeat until all the batter is fried up. This is easy to make with any delicious flavored herbs. 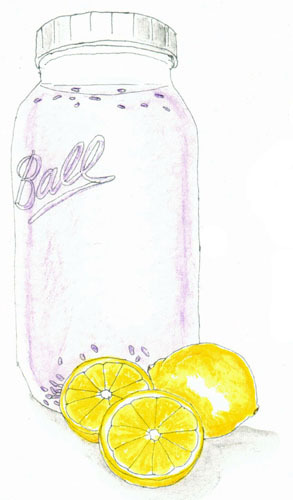 Try Hawthorn or Rosehip berries, Lemon Verbena, Lemon Balm, Peppermint, Dandelion or Violet Blossoms, or Elderberries. Place the herbs in a saucepan and add the water. Bring to a boil then slowly simmer until the liquid is reduced to down to 2 cups. Strain off the haws and return the liquid to the saucepan. Add half the amount of liquid measurement in honey which should be 1 cup. Turn the heat back on and stir while heating until the honey starts to thin. Turn off the heat and stir to combine. Beat whites until very foamy and not quite stiff. Beat in Vanilla. Slowly beat in sugar, 1 teaspoon at a time. When sugar is completely mixed in, add the Marshmallow root powder. Drop mixture using a teaspoonful at a time on a baking tracy covered with parchment paper, Bake 1 hour. Remove from sheet and let cool. To store, tightly cover and place in the refrigerator for several days. For Valentine’s Day, mash up 6 Raspberries and add to the mix after adding the Marshmallow root powder. Split the spoonful in half and drop side by side using your fingers to taper the end into a heart shape. After cooling, wrap in tissue paper and place in a bag for freshness. More recipes can be found in the back issues of Herbal Roots zine as well! After eating, gather round and tell a few of your favorite Herbal Roots zine herbal lore stories such as How Starweed Got her Stars or How Violet Got Her Showy Flowers. Or pick out a few storybooks. Or perhaps you like to sing? Sing some of your favorite Herb songs from past issues of Herbal Roots zine! Have your guests bring their instruments so they can play and sing along with you. Press some Violets and glue them on bookmarks, laminating the bookmarks or covering them with clear packing tape to give as parting gifts along with a jar of Violet or Dandelion jelly so your guests can have something to remember your herb day party for a long time afterwards. Do you celebrate Herb Day? What kinds of events to do you do? This entry was written on April 4th, 2019 by KristineBrown and filed under Uncategorized.